Mobile event apps can be a worthwhile and often times necessity of events. However often times event professionals are unaware of the power of a mobile event app - or how to ensure the successful outcomes of using an event app. Whether it's a lack of awareness of the mobile event app, a poorly executed event app, or even a Wi-Fi problem - too many times mobile event apps are referred to as the flop of an event, when they could have been the bang! When it comes event marketing, and especially mobile event apps, the phrase 'if you build it, they will come' is not the case. It is important to communicate about event apps with attendees prior to the event, as well as onsite. Share the link to learn more about your event app on your event website. 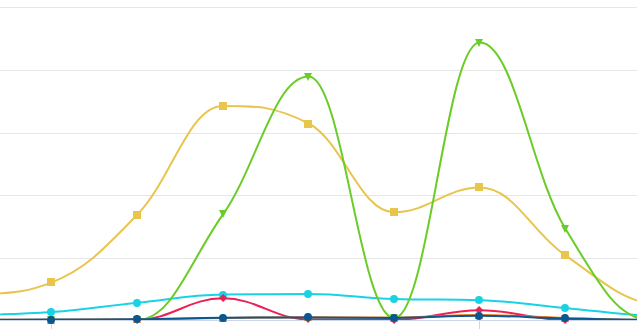 Talk about the app across social media channels. 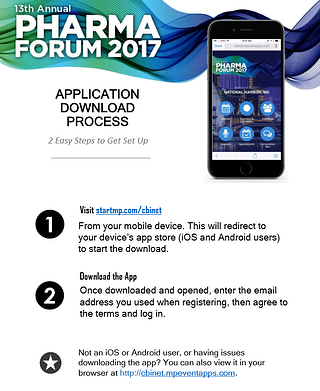 Send an email to event attendees promoting and directing them how and where to download the event app. "Users must not only realize the solution exists, they must understand why they need it. If not, your app will likely fail." Reality check! ✔️ A mobile event app has to serve multiple purposes, and if the intention and direction are singular, it's bound to fail. Social Media Walls, Leaderboards, announcements/push notifications, lead gen, badges/fast pass, gamification, indoor wayfinding, etc.There's no need to have more than one app if the mobile event app is feature-rich and versatile. If it's not custom, how will attendees know it's the right app to download? Don't make it hard, Shurlock! It's important that mobile event apps reflect the branding of the company or event, so when an attendee is searching for the event app in the app store, it is easily recognizable as 'the right event app'. Event apps that are not customized or those that are hosted 'within' an app (i.e. they are not stand alone event apps but rather a product of another company's), create confusion and may lead to attendees not downloading or trusting the event app. Studies have shown that only 16% of app users will try a failing or faulty app more than twice. This means if an event app is launched with any errors or glitches, event professionals are at risk of having their event apps be unused and poorly reviewed. No two attendees are alike - and neither are their mobile devices. Choosing to use an event app that only works on one specific device or operating system prevents the rest of the attendees who don't use that device from engaging and utilizing your event app. 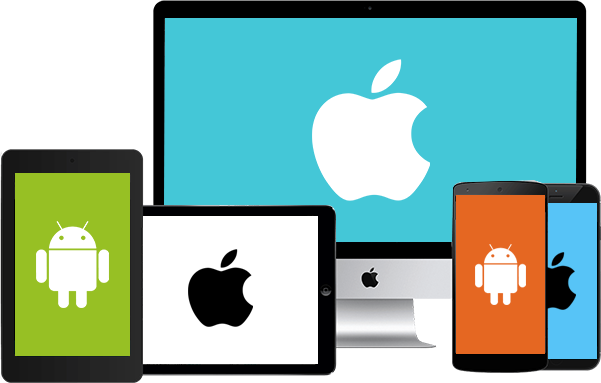 It is crucial that mobile event apps work across multiple operating systems - iOS and Android mobile phones, tablets, and HTML5 web-based versions for desktop and other devices. One of the most often forgotten, but essential aspects of event venues: WiFi. Whether event professionals have chosen an event site with little (or poor) WiFi coverage, or if they needed to utilize an outside WiFi vendor - not having WiFi can lead to mobile event app failure. Make sure that your event has enough WiFi coverage to handle a large group of attendees downloading the app at once and utilizing it throughout the length of the event. Similar to point number 3, if an event has too much technology going on - a different app for audience response systems, or 20 hashtags, or social media that isn't easily incorporated into the app, etc. - then attendees will suffer from app fatigue and refuse to utilize the events mobile app. MeetingPlay prides themselves on being a feature-rich, event solution. Our mobile event apps wow attendees, delight sponsors, and amplify event professionals success. Working together with a dedicated account manager, event professionals can understand what features are essential for the event to be successful. Not too much, not too late. Without having real-time reporting & analytics, event professionals can't know that the app isn't working until it's too late... MeetingPlay's event apps include real-time analytics, tracking, and reporting, allowing event professionals to know at any moment, how the event app is going and (or if) being used. It is essential that event attendees understand the reasoning, purpose, and feel incentivized to download and engage with mobile event apps. Whether integrating a session with real time attendee polling or allowing conference attendees to view powerpoint presentation slides on the event app, event professionals need to provide a purpose and a desire (an incentive) to have attendees download the mobile event app. It may seem obvious to the event professional, however, event attendees may not want to download an event app if they think there is going to be a cost associated with it. Make sure in any communication of the event app - email blasts, social media, printed materials on site, etc, mention that the app is free for attendees. If attendees think that there is going to be a cost, they are less likely to download and utilize the mobile event app. Event professionals can encourage attendees to engage with the event app - even prior to the event or after the event - by encouraging community conversation. Ask questions in the app. Encourage pre-event registration in the app. Ask for feedback, questions, suggestions, etc in the app. Take a pre-event survey, post-event surveys. If an event's speakers aren't 'believers' of the event app, a huge opportunity to promote the mobile event app is lost. Ask speakers download your event app and familiarize themselves with it - and then encourage their followers that will be at the event to do the same. When you promote a mobile event app prior to the event, it is essential to include guidance: Where to find the event app (Google Play, iTunes, etc), what to search for when looking for the event app, how to utilize the event app, etc. MeetingPlay provides an event app 'how to' for each event app, helping event professionals help their attendees. Additionally, once on the site of the event venue - poPost event app instructions that are in various locations: visible from the registration line, near entrances to sessions, on the back of attendee badges, near device-charging kiosks, etc. Mobile event apps come with a host of powerful benefits for event professionals and their attendees. Connecting attendees with compelling, consistent and cohesive promotions and incentives, you’ll drive event app adoption rate and ensure ongoing download and usage before, during and after the event.